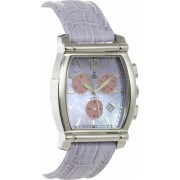 NOBEL® solid stainless steel ladies chronograph timepiece, with a genuine lavender leather bracelet. This magnificent timepiece contains a high quality Swiss chronograph movement, a genuine MOP Dial with applied Arabic and Index hour-markers. 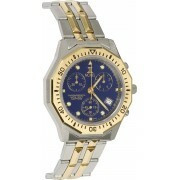 This wonderful watch has 3 chronograph pink eyes, lumin..
Nobel® Solid Stainless steel multi-function timepiece. 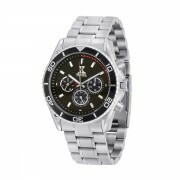 This magnificent sports watch contains a black and red dial with 3 circular eyes framed in stainless steel frames. 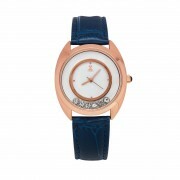 It contains a black enameled rotating bezel and applied stainless steel hour-markers. 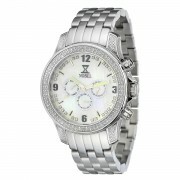 This beautiful timepiece has 3 white-ename..
Nobel Beautiful timepiece framed by a curved brushed stainless steel bezel. 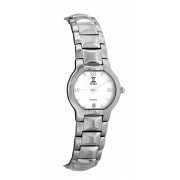 This timepiece is made of Satn finished solid Stainless Steel links, a striking silver tone dial creating a very attractive and stylish look. This Nobel timepiece contains a Swiss movement, a date at the 6:00 hour, 3 hands a..
Nobel Beautiful ladies timepiece framed by a curved brushed stainless steel bezel. 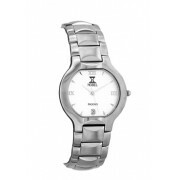 This timepiece is made of Satn finished solid Stainless Steel links, a striking silver tone dial creating a very attractive and stylish look. This Nobel timepiece contains a Swiss movement, a date at the 6:00 hour, 3 ..
Nobel® Solid Stainless Steel, gold plated timepiece with a genuine leather bracelet. This impressive multi-function timepiece has 22 diamonds set on the watch frame, and 28 diamonds set on the MOP (Mother of Pearl) dial, for a total of .50 Carats diamonds. This magnificent watch contains a Swiss mov..
Nobel® Solid Stainless Steel timepiece with a high-polished finish stainless steel bracelet. This impressive multi-function timepiece has 22 diamonds set on the watch frame, and 28 diamonds set on the MOP (Mother of Pearl) dial, for a total of .50 Carats diamonds. 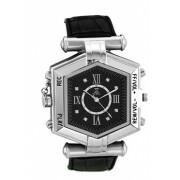 This magnificent watch contains a S..
~~A very striking solid stainless analog MP3 recording watch. 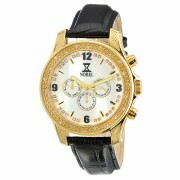 This magnificent timepiece has a black dial with 4 applied Arab numerals, and 8 set crystals at each hour-mark. This MP3 Watch has built in 4GB flash memory, a built in rechargeable battery w/7 hours of continuous playing time..
Nobel all solid stainless steel chronograph timepiece, accented with 22 karat gold 10 micron plating. This very attractive bi-color timepiece contains a very striking blue dial with 12 luminous hour markers, 3 luminous hands and 3 gold chrono-hands. This chronograph watch contains a Swiss made movem..
** The Cuff is a great fashion and gorgeous bracelet, very much in style, 'funky' and "cool". Everyone LOVES it as a BRACELET, before they know that it has the Bluetooth function and the important features it has. (Many wanted to get all 3 colors to match different outfits or moods) When they ..